Black and White and Loved All Over: 28 Weeks: Whattup, Third Trimester! 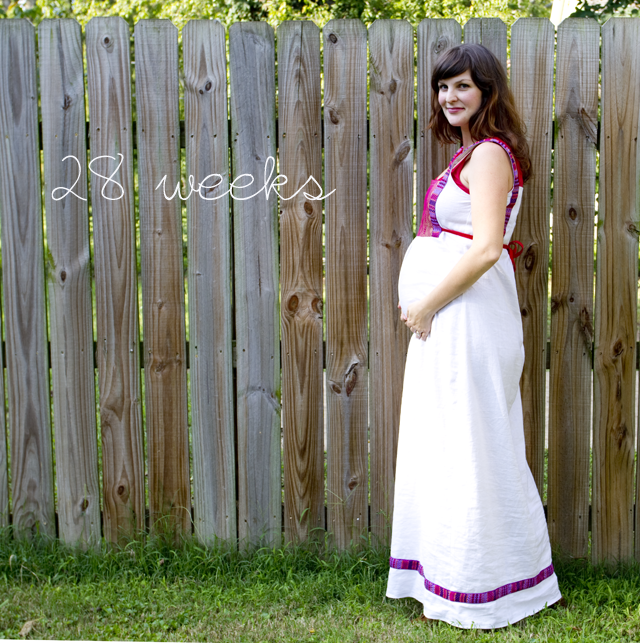 28 Weeks: Whattup, Third Trimester! Yesterday was the first day of my third trimester! Only 12 (or so) more weeks to go before Livvy arrives. Her movements have grown sharper; she's jabbing at me with knobby elbows and knees, and sometimes it startles me so much that I jump. But mostly what's growing is my belly. There's no hiding this pregnancy anymore, haha, which means lots of unbelievably sweet looks from strangers (but less attention from the gentlemen). I'm up 17 lbs. because I was so relieved to have an appetite again after the nausea went away that I've been indulging a lot (too much), so I'm trying to snack more healthily. Of course I say that, but have been inhaling the birthday cake I made Nekos yesterday. I'm starting to get excited about having my body back to myself in a short while and have been browsing through fall clothes catalogs longingly. (Have you seen the new Madewell? I need a sheep sweater.) In a word, my wardrobe right now: Limited. Compared to my pregnancy with Tess, I am so much less focused on the mechanics of the miracle that's happening inside my body. I crack What to Expect When You're Expecting once a month and read my weekly email updates from Baby Center, but I'm otherwise preoccupied with the details and chores and obligations of daily life to think much about all the hard work my body is doing. Keeping me busiest: looking for a job. How did this happen? It's so not my ideal situation to be looking for work when I'm in this "condition." But the truth is that I need and want to work, and if I can't find a gig that I can do from home (like my last one) I won't be the first mother to have to put her babies in daycare if it comes down to that. But, oh, how will I bear that? It's a bridge I'll cross when I come to it. Most days I'm happy and I'm grateful and I'm getting closer to ready for this lil gal. One day soon I'll get to breathe her in and kiss her cheeks and lips and hold her tight to me. I don't know if I missed a post explaining it, but is her name going to be Olivia (meaning is Livvy short for something) or is that her full name? Cute either way! p.s. I'm content right now with Baby Boy being with me all the time (however, I have 8 weeks left, I may not be saying that for long) but besides the obvious longing to meet him and hold him, I'm curious what will happen to my bod when this is all said and done. Will I ever get back to my before-baby size? Fit in my old clothes? Seems the past couple weeks Ive gotten pretty "juicy" everywhere (hands, feet, arms, etc) so we'll see what kind of clothes I'll be rockin by summer when I'm out pushing a 6 month old in stroller. It does get scary towards the end as your body changes, right? It is so different for every woman, but I was relieved to find that everything went back to normalish pretty quickly. 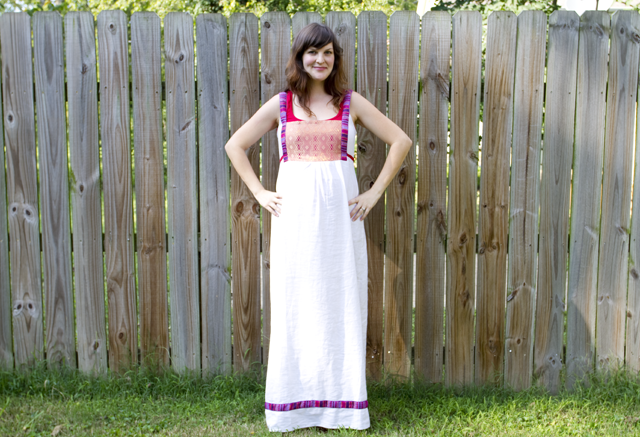 Even the day after I gave birth I felt more like five or six months pregnant instead of nine. And I was so happy to not being pregnant anymore and reclaim was rightfully mine :) Excited for you, Cindy! !